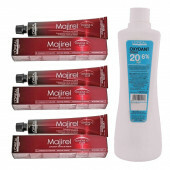 Help your hair color last and maintain vibrancy! TRESemmé Color Revitalize Conditioner for colored hair protects & moisturizes to keep your hair looking healthy. 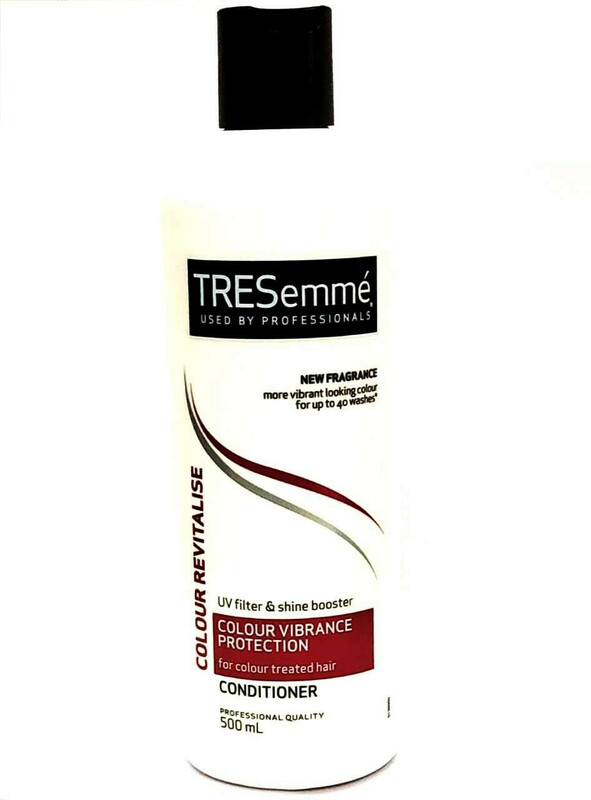 The TRESemmé Colour Revitalise system with Advanced Colour Vibrancy technology helps keep colour looking more vibrant for up to 40 washes. * This system, with green tea, rosemary and sunflower, cleanses and conditions to help replenish vital moisture and keep hair looking healthy. Your hair colour will be vibrant, while every strand is soft and manageable..
apply the conditioner from mid-shaft to ends. Work anything that's left through roots. 2.Run a wide-tooth comb or your fingers from roots to ends to detangle and fully coat hair. 3.Leave on for 2-3 minutes and rinse thoroughly.